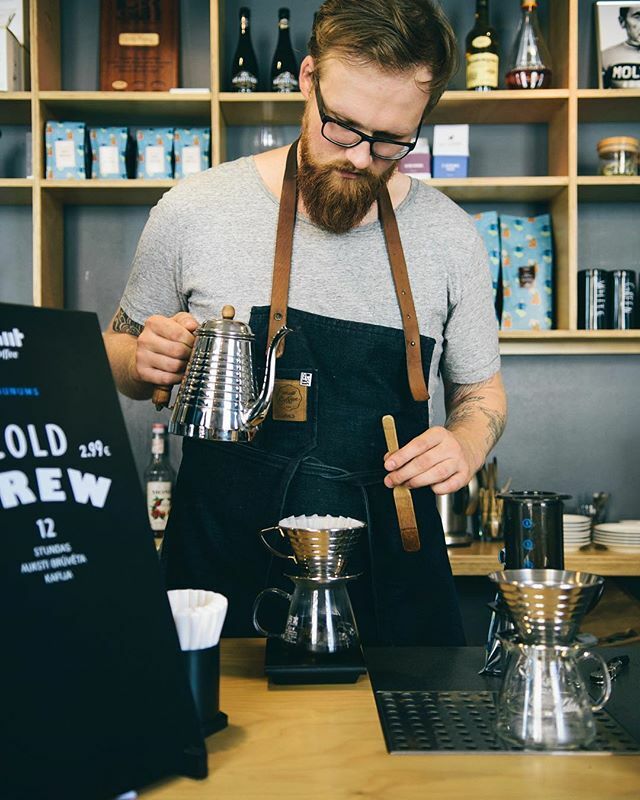 From time to time, MiiT throws so-called public coffee cuppings (coffee tasting) and other fun events. Their legendary pancake brunch is a must. Vegans and vegetarians are also catered to so everybody will find something for themselves. #2 Pasēdēt – great place to hang out with friends. ”Pasēdēt” comes from a Latvian word ”sēdēt”, which means ”to sit”, but if Latvians use word ”pasēdēt”, they usually mean to sit down for a longer time to hang out with friends. 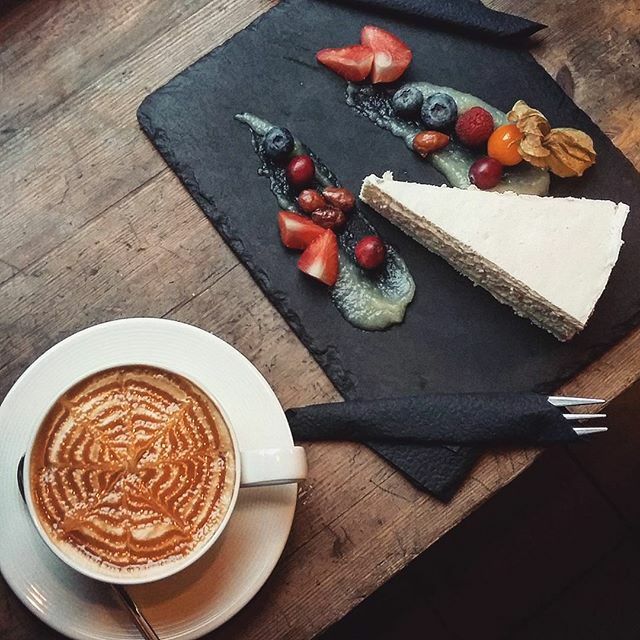 Anyway this is what this place is about – this is one of the most popular places in Riga for hanging out with friends and it also offers a great food which tastes just as good as it looks. #3 Parunāsim KafeTeeka – perfect for long and intimate talks. A coffeehouse with a name that says it all. 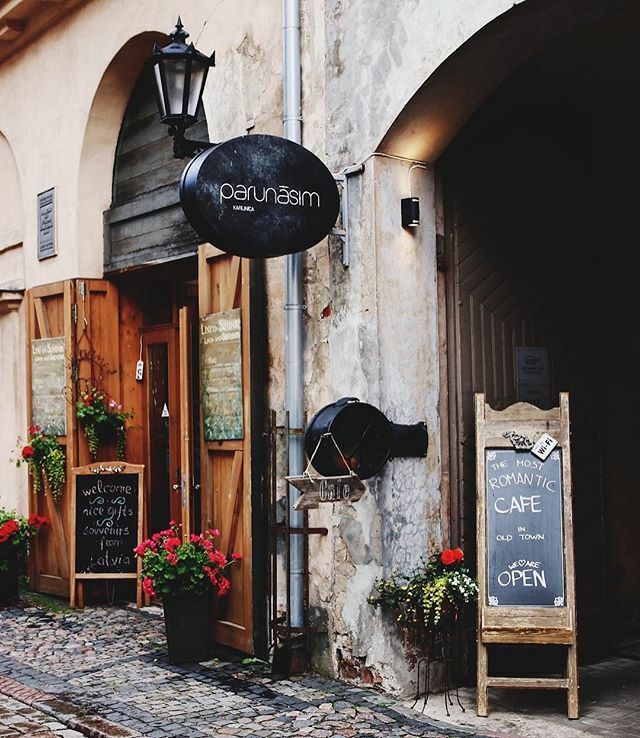 Another lingual game of Latvians – in English ”parunāsim” means ”let’s talk”. 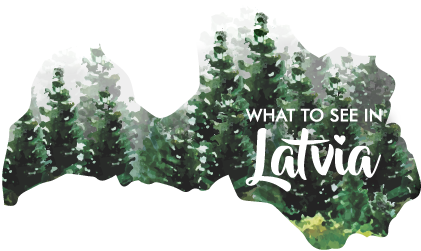 A hidden gem and special find on discovery around Riga. This place boasts to be one of the most romantic cafes in Riga having a really cozy, romantic interior. A bit of Vintage. It is a perfect spot to spend time with friends or your partner for long, deep talks without being bothered with questions about how you liked your food or coffee. They also have live music on thursdays. And yeah, cakes are simply delicious. #4 Innocent – for Illy lovers. 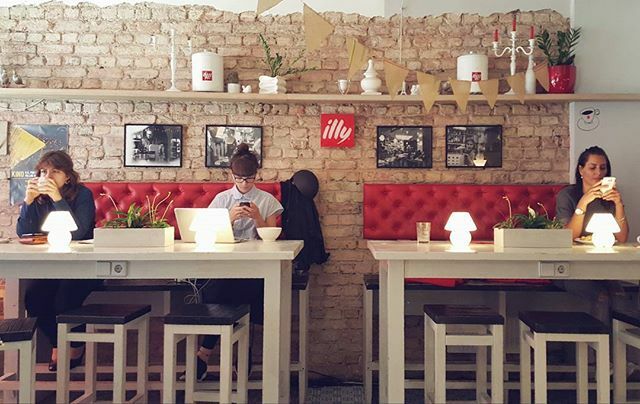 Innocent is the Latvian distributor of Illy coffee and you can tell it by numerous Illy logos, cups, posters and the iconic red sofa. However this place was a bit better than usual Illy cafes. The atmosphere is different – I felt very welcomed and the staff was really friendly. 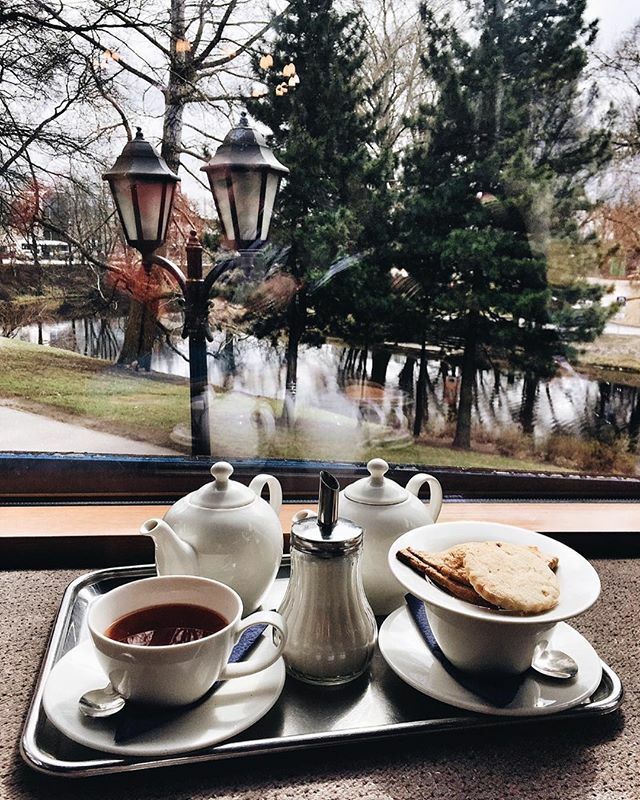 #5 Kuuka Kafe – for a small break. 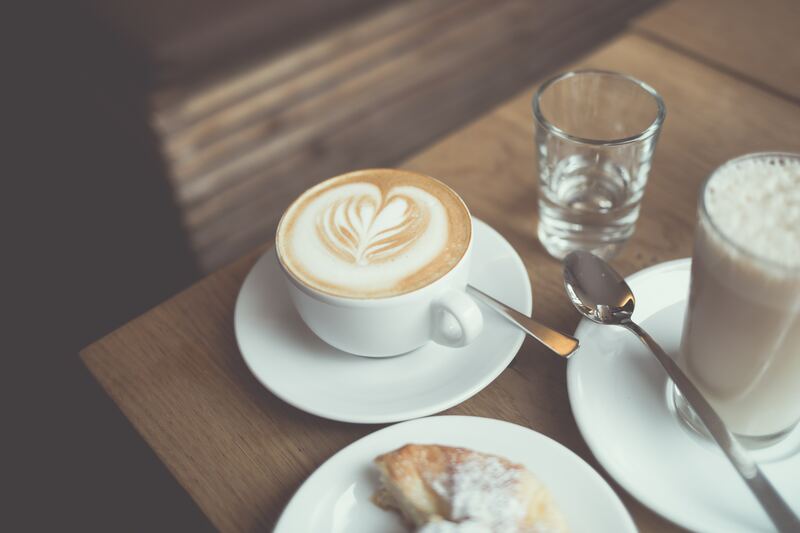 Kuuka Kafe is simply the coziest little cafe that has an excellent music selection and great atmosphere, where everything smells like coffee and they do have superb cakes. You can dig into several delicious versions of the creamy cake and they will not disappoint you. The staff is very friendly and the coffee drinks are delicious. #6 FAT CAT – divine eclairs. 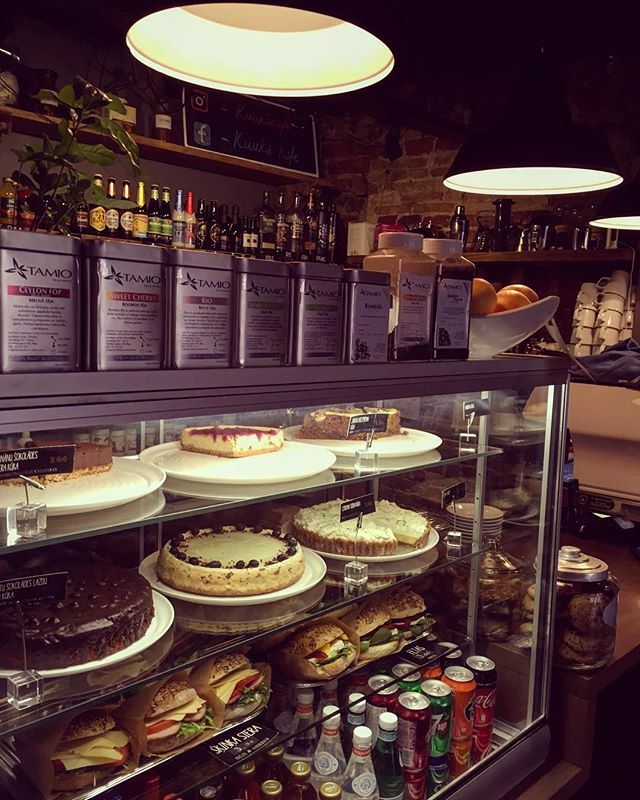 This cute, little cafe is located in Old Riga (close to House of The Blackheads) will pleasantly surprise you with tasty eclairs with both usual and exotic tastes. 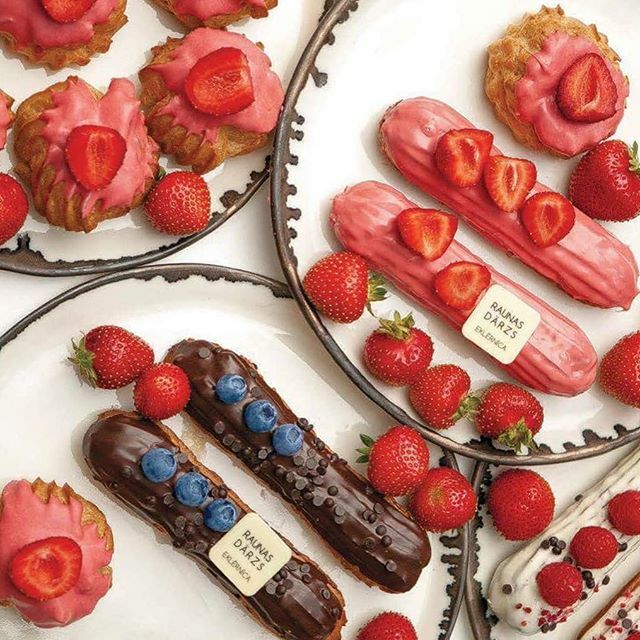 You get to choose between countless eclairs, all on display in a huge showcase. Fat Cat also serves aromatic and tasty coffee and latte. #7 Raunas Dārzs Eklērnīca – perfect place for afternoon tea. 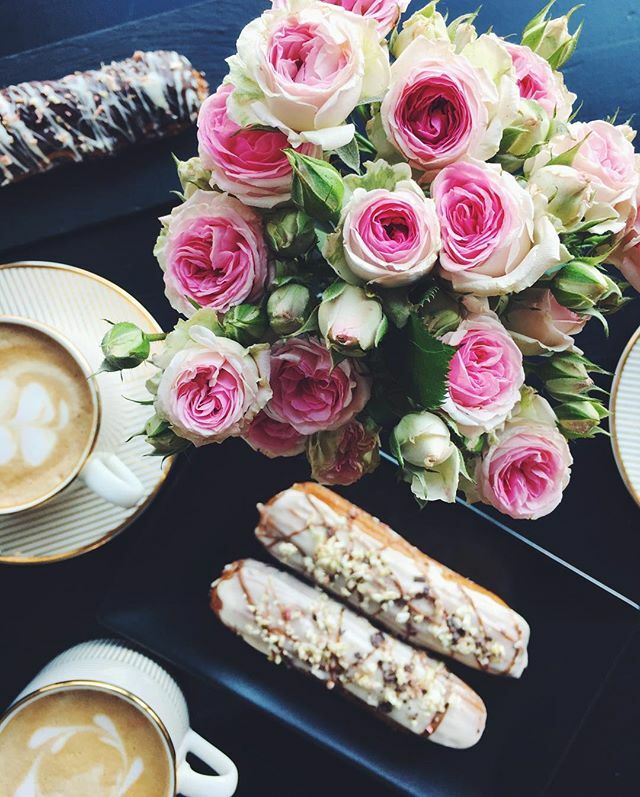 If there’s something Raunas Dārzs knows how to do, it’s how to make delicious eclairs. And they have an endless collection of eclairs served by friendly and chatty staff. 🙂 Locals argue which place makes better eclairs – Fat Cat or Raunas Darzs. You can call me diplomatic, but I do like both places. Raunas Darzs is located in a quiet and characteristic neighbourhood called Teika, quite far from the center (around 12 minutes drive away from Riga center), but it is definitely worth to visit this place when in this neighbourhood. By the way it’s rating on Facebook if 4.9 out of 5 stars (689 people have voted). You will not believe the price – one of my favourites – fresh blackcurrant cream filled eclair with rich white and dark chocolate glaze and berries topping costs only 1.70 EUR. #8 Apsara Tea House – perfect for reading a book. Very nice and large selection of teas with a lovely staff that will recommend the perfect tea for your mood. With its pillows and cozy sofas it is a perfect place for reading a book or chatting with friends. This place has its own magic in every season with with a great view over the garden and canal. They also have coffee, beer and even sparkling wine, and also gluten free cookies. Chilly autumn evenings can be quite nice if spent in a cozy cafe with your loved ones or reading a good book. Enjoy! All The places from Miera Street are missing from this list. dad Cafe, Mierā and Illuseum. Hey Elīna! Thank you for the feedback! ❤️ Cafes on Miera Street are great indeed. I promise to make a second serie for cozy Winter cafes! I have written about Illuseum in the article What To Do in Riga on A Rainy Day.